ADDiFF Solutions: focused in developling automation solution to make use of full computing power by doing automation and free users to focus on their business. A professionally designed tool specifically crafted as per today's Marketing trends to let you use world's best free emails service as targeted marketing tool. 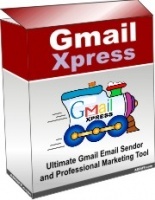 Use Gmail Xpress to reach your audience, visitors, valuable existing customers directly. A professionally designed tool specifically crafted as per today's Marketing trends to let you use world's best free emails service as targeted marketing tool. Use Gmail Xpress to reach your audience, visitors, valuable existing customers directly in an effective way and enjoy seeing your sales graph moving upwards.